$40,000 PRICE REDUCTION!! Selling Restaurants presents this coffee house that's enjoyed good growth since opening. Very popular with the locals, and college students, this beautiful coffeehouse is priced to move and is well decorated inside with comfortable cool brick walls with a smart mix of booths, tables, and sofas. Serving hot and cold coffee drinks, a wide variety of loose leaf teas, and breakfast baked goods and sandwiches. This is an easy operation to run and perfect for the person wanting to get in to the business. With 1,500 sq. ft. and rent of only $2,500 a month! Price includes gas, sewer, trash pick-up and water! The side alley can be closed off for live evening entertainment! There is the option to expand the business upstairs, more than doubling your square footage! This location will go fast, don't wait to take a look! Please click on one of the orange buttons below to take the next step towards your financial independence!This is a Business Intermediaries, Inc. listing. Large Rear Room with GREAT Potential! Front Patio Area with Ability to Close Off Side Alley for Special Events! THIS IS A MUST SEE!!! DISCLAIMER: The User (that's you reading this) of this Website understands that Business Intermediaries, Inc. ("Broker") or its agent(s) do not audit or verify any above information given to or gathered by Broker or its agent(s) from Seller, our Client, or make any warranties or representations as to its accuracy or completeness of the information provided, nor in any way guarantee future business performance. The User should perform a complete and detailed due diligence on the business and or real estate before buying it in addition to seeking professional advice from an attorney as well as a CPA. In some cases, forward looking statements may have been made but these statements are absolutely no guarantees of future performance of the business as each User has differing skills sets to either grow the business or kill the business. Owning a business is a risky venture, but can also be a rewarding one. 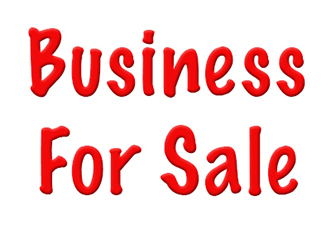 The User of this website is solely responsible to examine and investigate the Business and or real estate (if included in the sale), its assets, liabilities, financial statements, tax returns, and any other facts which might influence the User's purchase decision or the price the User is willing to pay. In most cases, the Broker represents the Seller who is our principal, but the Broker owes the User a duty of fair and honest dealings. Any decision by User to purchase the Business shall be based solely on User's own investigation and the User's legal, tax, and other advisors and not that of Broker or its agent(s). Any listing information may change at any time without any notice to User and User should often review the listing on the website to keep up to date.